Not okay, like ever just to eat cookies for breakfast. What do you mean? You thought I was suppose to be the fun one? The super realistic nutritionist who will let anything slide? Sorry friends, I’m trying to save you here not let you walk down a path of destruction. I do have to say that the American breakfast is a pretty slippery slope. Okay is is like trying to walk up a hill made from ice. You won’t get anywhere. 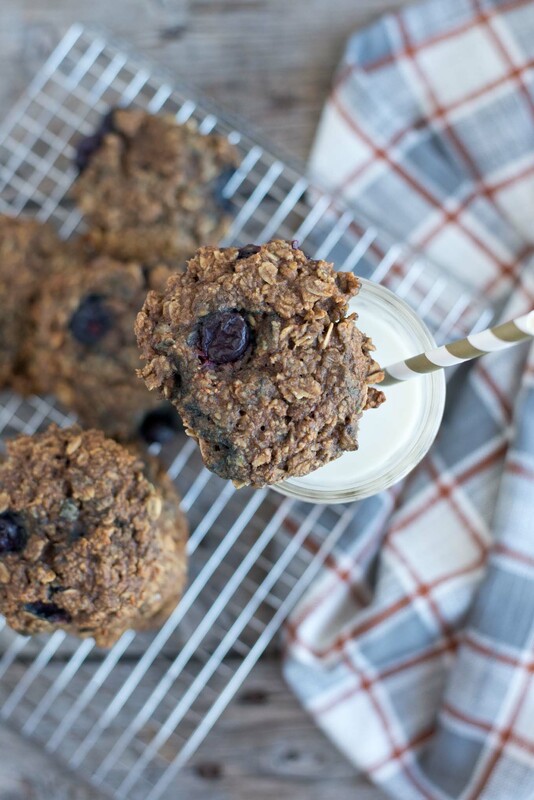 Even with these super healthy blueberry oatmeal breakfast cookies, they just aren’t enough. Seriously though, we as American’s have kind of created a monster of what breakfast should look like. Calling cupcakes muffins, so it sounds healthier, kind of like something you could eat for breakfast. Or how about calling cake donuts simply by cutting a hole in the circle? Kinda funny isn’t it? We’ve created healthier names for desserts and have called it breakfast for years. 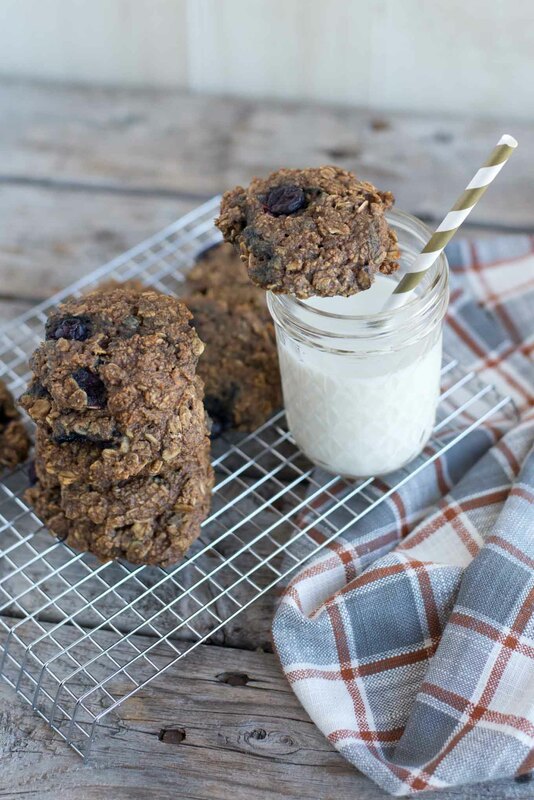 From pop-tarts to chocolate chip granola bars, muffins, donuts, store-bought smoothies, cereals and even instant oatmeals, these just scream health…. said no one ever. But I get it, we want a little sweet in our life. 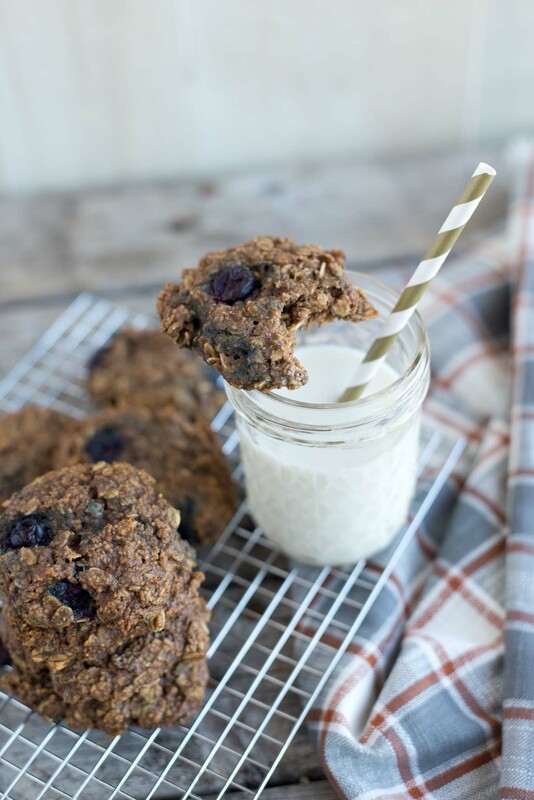 So with that I bring you one-bowl (and very health) blueberry breakfast cookies. 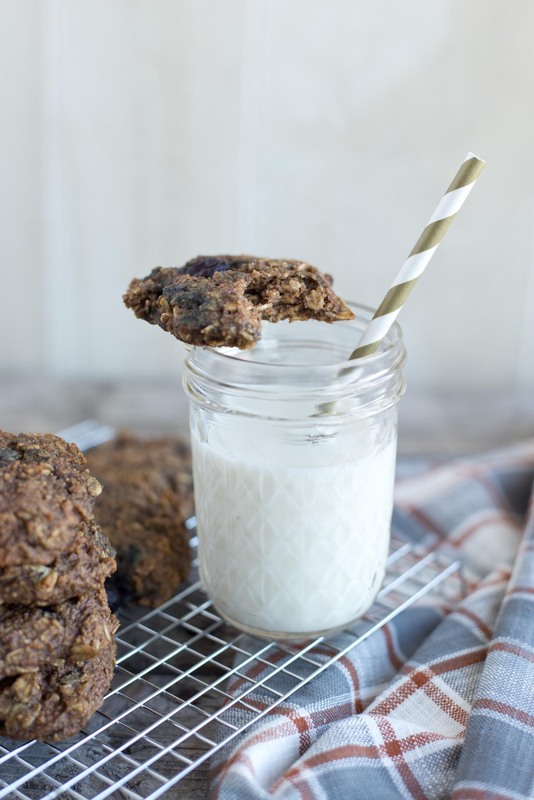 As healthy as cookies come and good enough to eat in addition to a protein packed breakfast. 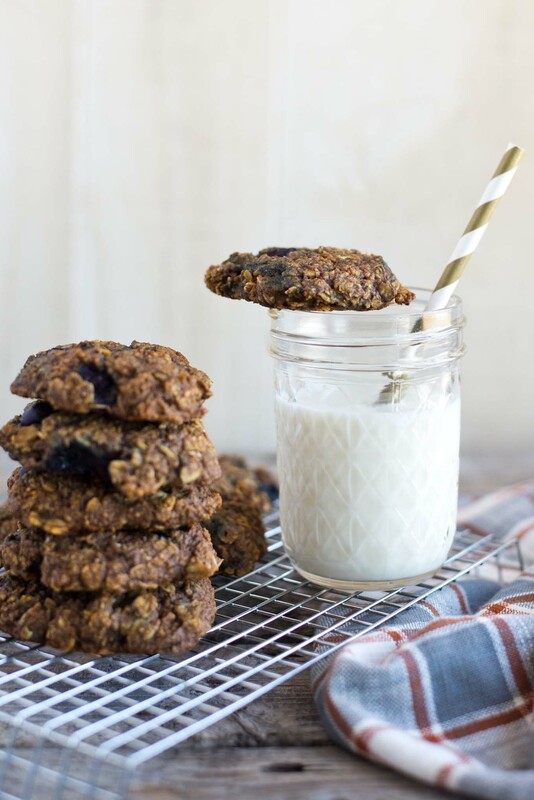 Full of fiber, healthy fats, a touch of protein and a few antioxidants in addition to the flavor of a cookie, perfection in every bite. It is something quick and easy that you can pull out and eat when that sweet tooth arrives. Here’s the important part… it uses only natural sugars. The reality is that we live in real life and sometimes real life means having something sweet. The problem is, we have put such a negative association on sugar that people have come to fear it, try their best to avoid it and end up binging on it. 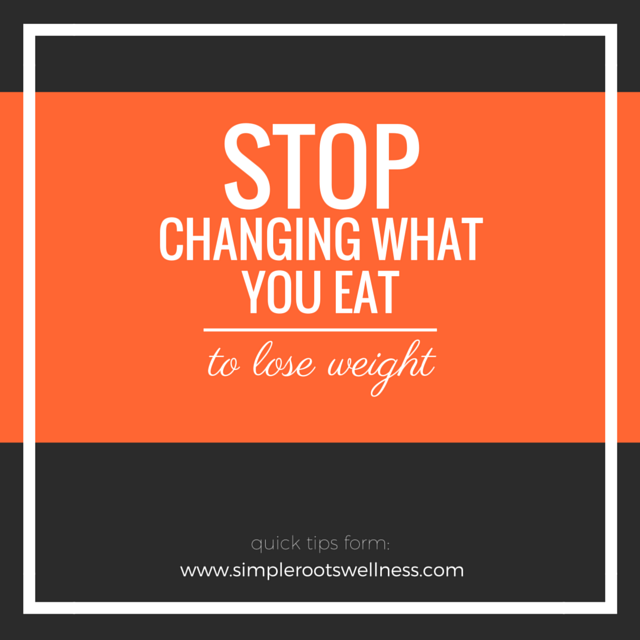 We’ve created our own internal monster from sugar which has created a true and scientific cascade that, in some cases, puts on the pounds simply by looking at it. Not that you would have a sweet tooth, because you’ve all overcome that in The Craving Cure, right? Regardless, these cookies are the b-to-the-o-to-them-m-b, bomb. These all came about when it was our oldest turn to take “healthy” snacks to preschool for her birthday. And while it seems apparent that there is quite a variance on what “healthy” snacks mean I tried to combine birthday treats with healthy and viola the blueberry breakfast cookie emerged. Apparently the embarrassment has begun already and posting recipes online is not a super fashionable career, to a toddler anyways. 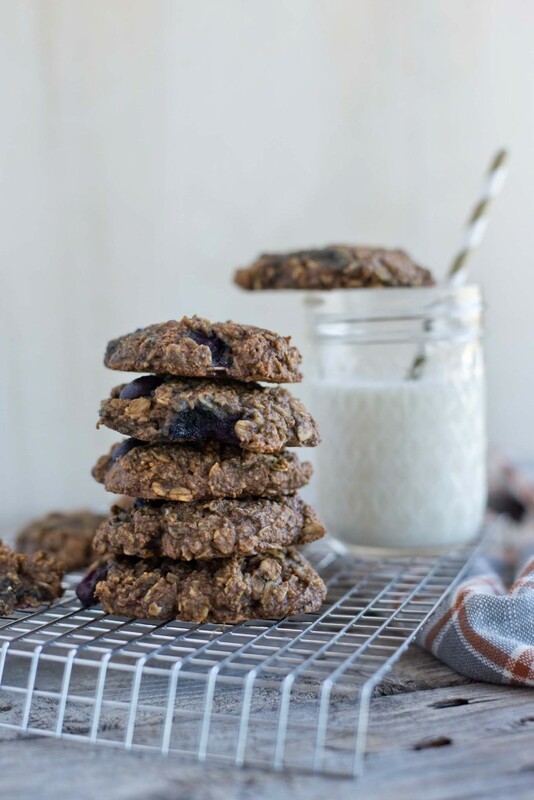 So leave it to nineteen four-year olds to tell you, these blueberry oatmeal breakfast cookies are worth baking up today. Just one bowl later and you will have one delicious snack in your hands. 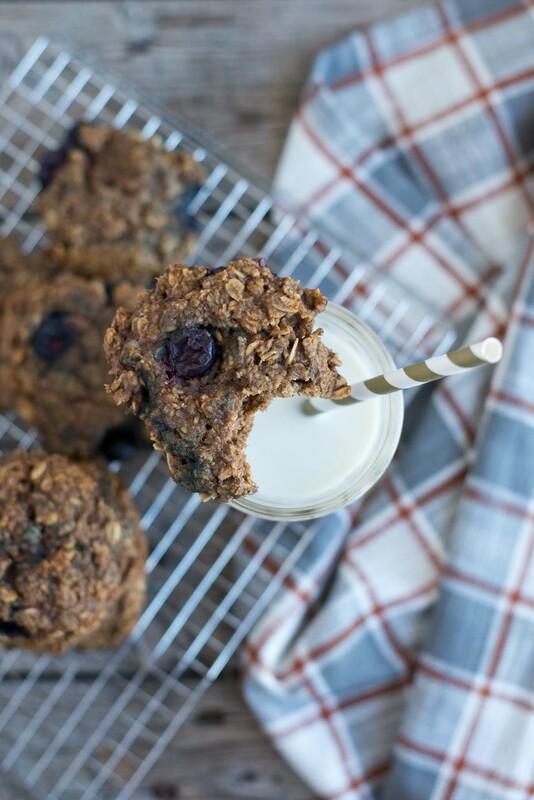 Hello, beautiful one bowl blueberry breakfast cookies. And all the kids go crazy! Preheat oven to 350 degrees and prepare a baking sheet. 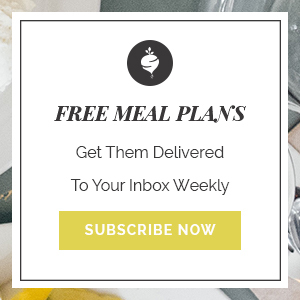 In a large bowl mix together flax and chia meal, tapioca, oatmeal, baking soda, salt, cinnamon and chia seeds. Add in applesauce, mashed banana, coconut oil, sweetener, vanilla. Place a spoon full of batter on the cookie sheet and slightly flatten. Continue until cookie sheet is filled and all batter is used. Place on a cooling rack and store in an air-tight container in the refrigerator.